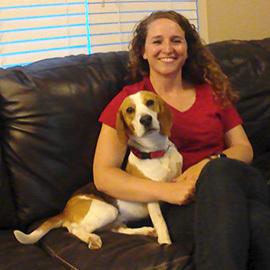 Advanced K9 Bed Bug Seekers, LLC - Fast, Accurate Bed Bug Detection For the Denver Area! 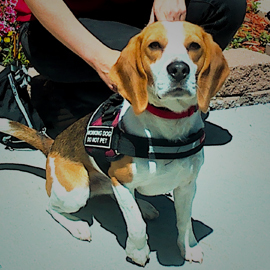 Our detection dog, Tracker can smell bed bugs through baseboards, outlets, and walls — all the places that bugs like to hide! 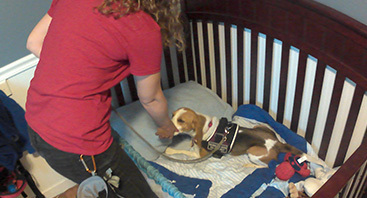 We provide a highly-trained bed bug detection dog, along with a certified handler, to determine if bed bugs are present. Tracker will alert our handler only of live bugs or eggs, and he’s much more accurate than a visual inspection performed by a human. 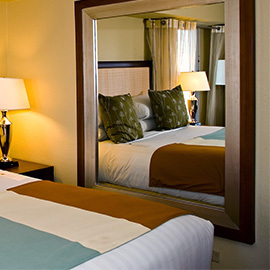 Ideally, bed bugs are caught before they become a problematic infestation. That's where we come in. Call now! Advanced K9 Bed Bug Seekers is a company dedicated to helping our clients confirm the presence of bed bugs early with our innovative K9 detection services. This allows the problem to be treated quickly, before it turns into an infestation that’s challenging to eradicate. 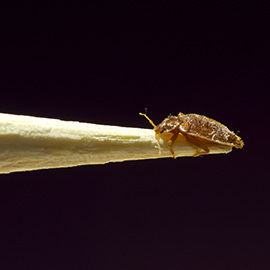 Dogs are able to determine the presence of bed bugs much more accurately than human inspections. With more than 90 percent accuracy compared to 30 to 40 percent from human inspections, our clients can be confident that if these pesky bugs are present, our dog will let them know. Tracker can locate bugs even when they are hiding in the walls, behind baseboards, or inside of outlets. This eliminates the need to cut drywall or cause other structural damage to confirm bed bug activity. Tracker is also trained to only alert his handler when he’s detected live bugs or eggs. This helps clients to know if a recent heat or chemical treatment was successful. Contact our team today to learn more!